There is always plenty of fun, laughter and audience participation at one of Peter Gardini’s children’s magic shows. 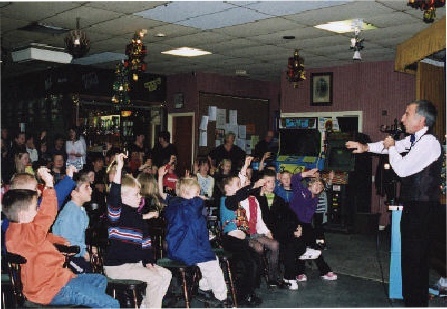 If the magic show is at a birthday party then Peter ensures that the birthday child, or children if it is a joint party, can help with some of the magic and become the stars of the show. Peter has over forty years experience as a children’s entertainer, he is enhanced DBS certified and has £10,000,000 public liability insurance for your complete peace of mind. Click on the link below to download a free party planner ideas sheet.